Splashdown’s latest project for Bare Minerals. 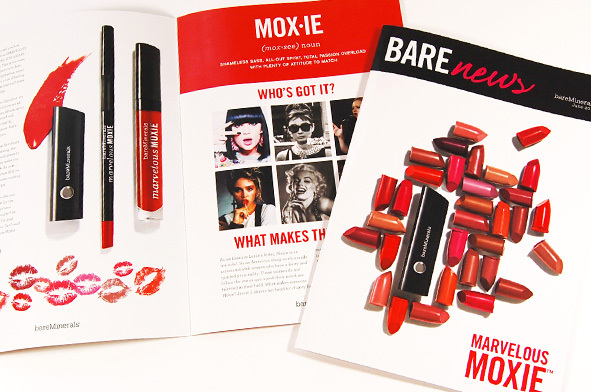 Presenting the new, Marvellous MOXIE lipsticks, lipglosses and lipliners, this detailed 8 page glossy brochure showcases the launch plans to Beauty Ambassadors in a colourful, easy to follow editorial format. . Our favourite, MOXIE – Who’s got it?